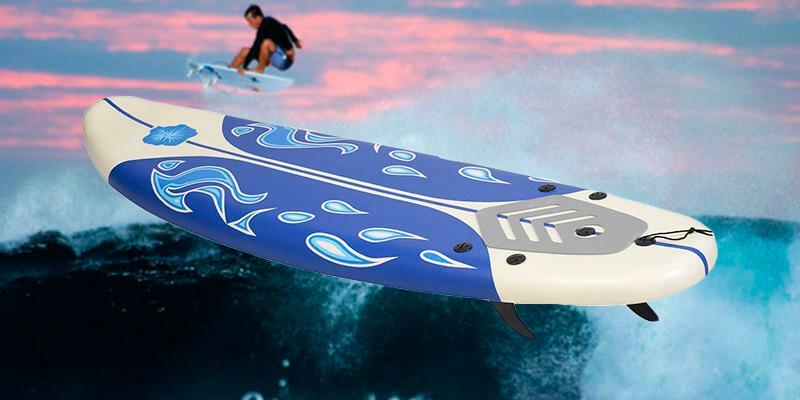 Due to the soft deck, this surfboard boasts the minimal risk of injuries. There is no special wire to buckle the leg. A good choice as a first surfboard for kids. This board will provide good safety and stability for the beginners. You and your kid will not be disappointed with this board! Please contact the seller directly for warranty information. 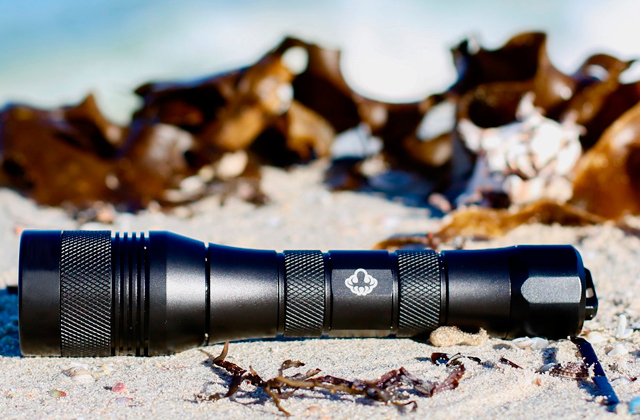 Comfortable design and surface texture provide stable behavior on the waves. The board is not designed for heavy hits. Perfect choice for novice surfers! 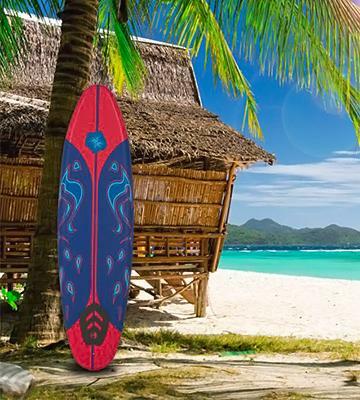 Due to its design and shape, this surfboard provides the maximum comfort. Do not miss a chance to buy this super board! 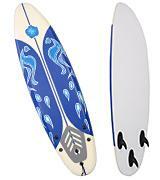 9′ x 24" x 3.8"
Removable fins and thought-out construction significantly add to safety. Top print might get off after the first days of use. Soft Top board will be ideal for active kids. 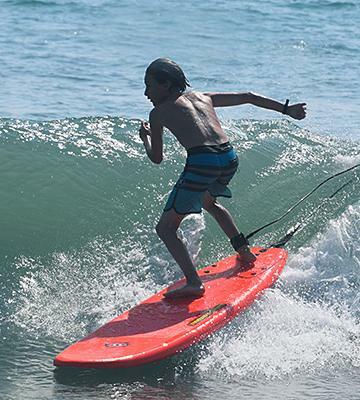 Thanks to this board, you can teach your child to conquer the waves without fear of injury! 7' x 19.7" x 3"
This surfboard will suit perfectly both adults and kids. And it is very easy to maneuver. 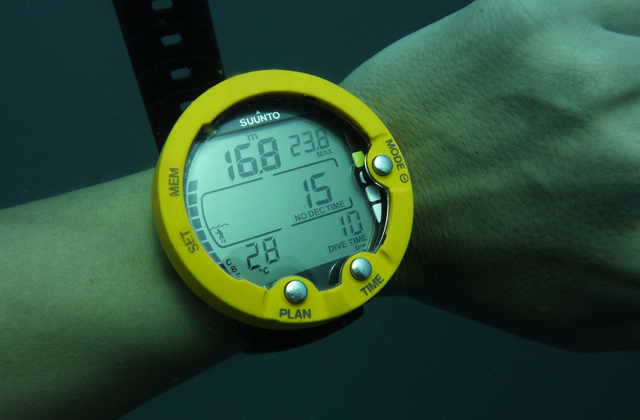 Small air pockets might appear on the bottom. Surfing becomes easy for beginners with Giantex 6' Surfboard. This unique model will perfectly suit adults as well as kids. 6' x 20" x 3"
High level of maneuverability and stability provides maximum comfort. You need use wax for a better adhesion. This board is a universal option both for beginners and professionals because of its ease of control. 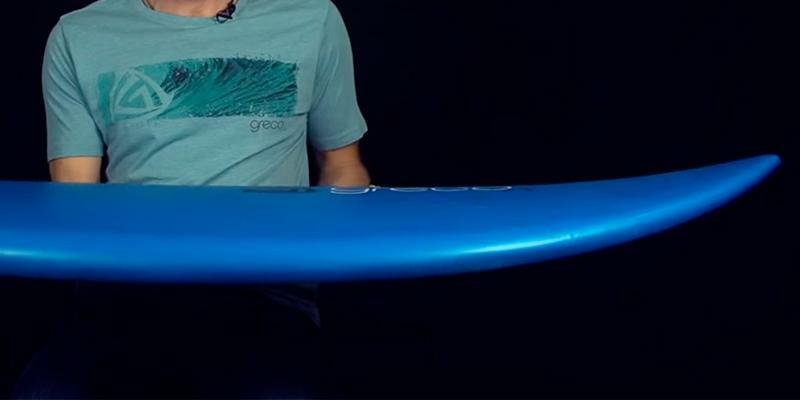 You will be surprised at how this surfboard fits all your needs! 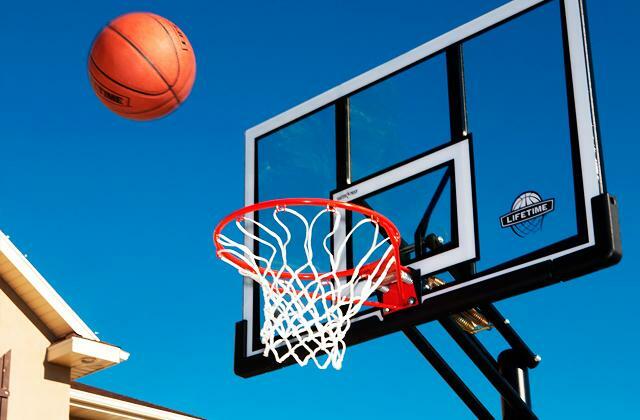 8′ x 23" x 3.7"
It’s not surprising that parents want their children to join them in different activities such as sports since it gives a chance to spend more time with kids and teach them something useful. 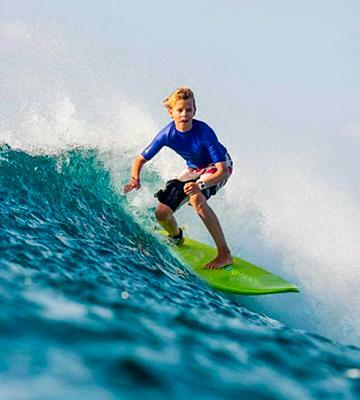 If you are fond of surfing, you can make it a part of your kid’s life too, and Liquid Shredder surfboard can help you. As kid’s first surfboard must be of high quality in order not to spoil the impressions of this extreme sport, Liquid Shredder did its best to achieve this goal. 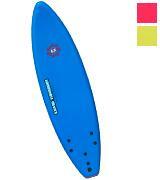 6-pound length and soft surface determine the board as a Soft Short Board. These characteristics provide the total safety of your child, and chances to hurt himself/herself are minimal. The board is quite maneuverable due to its weight of 9 pounds, and its stability is provided by a square tail and thin straight nose. 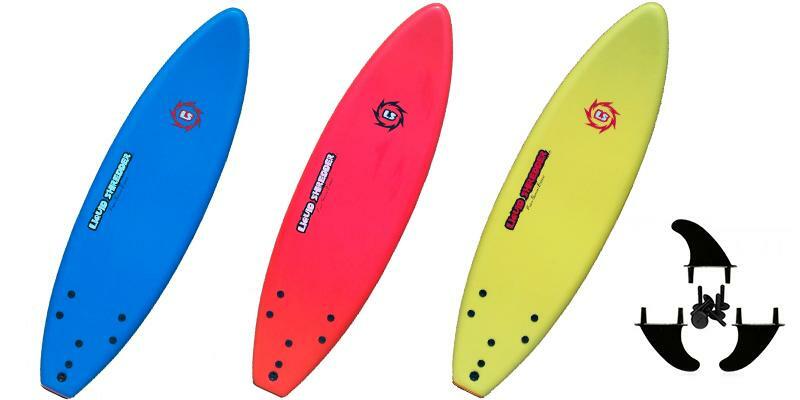 All these peculiarities make Liquid Shredder surfboard an ideal choice for your child! Liquid Shredder surfboard will allow you not only to make surfing a safe hobby but also teach your child most important tips of successful wave riding. The manufacturer understands that a learning process must be both fun and effective, and that’s why the company has invented some know-how. 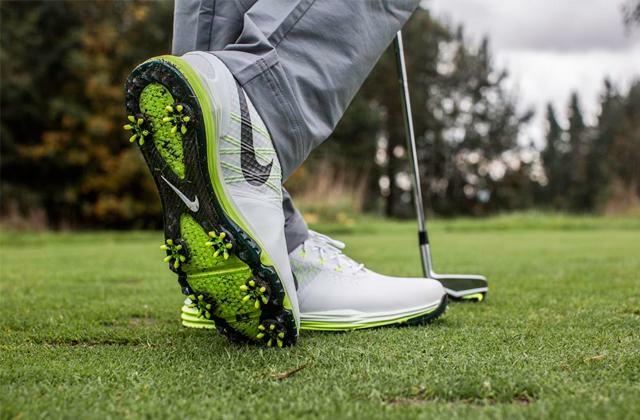 For example, the board’s surface has a special structure preventing feet from slipping. What's more, the ability to withstand the weight up to 120 pounds is one more additional advantage. There are surfing competitions among dogs! Huntington beach, California is a favorite place for surfers, and there are many dogs among them. Dog surfing competition is held here annually for the last five years. 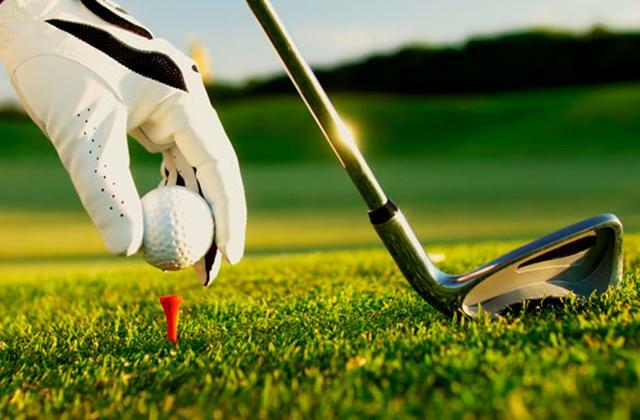 Money gathered during this competition is donated to animal protection organizations. To choose a winner, the judges estimate dog’s confidence while surfing and the length of their ride. Unbelievable, but... there are some dogs which can surf backward! Unfortunately, the manufacturer hasn’t included a special leash in the set, so you’ll need to but one separately. 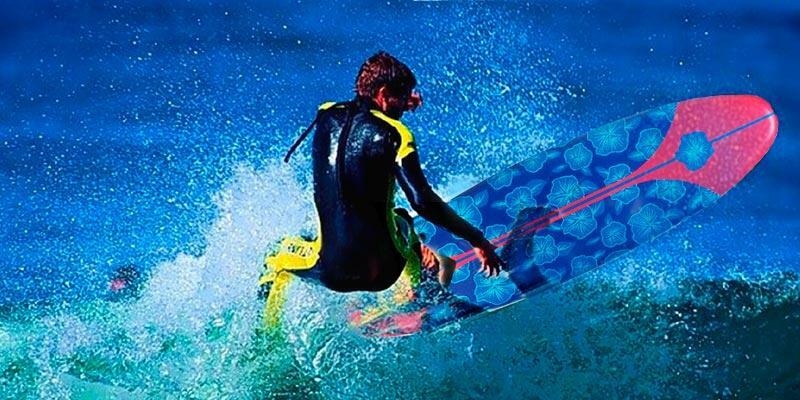 We recommend you to consider Dorsal procomp surfboard surf leash in order not to lose the board in case of falls. 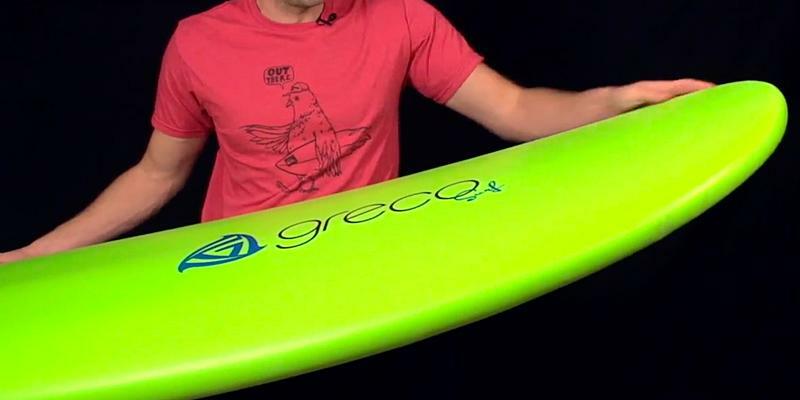 Speaking about Greco Surf Board, we would like to say that it’s difficult to refer this board to classic surfboards, even in spite of its typical shape. Being 9 feet long, it is classified as a Longboard. However, soft surface allows determining it as a Soft Top board as well. Taking into account the fact that this surfboard possesses the best characteristics of these two board types, one can say for sure that it will become a perfect solution for novice surfers. They will be able not only to gain basic knowledge necessary for this kind of sports but also get the full satisfaction from riding a wave. One must admit that the manufacturer has come up with practical solutions while creating this surfboard. 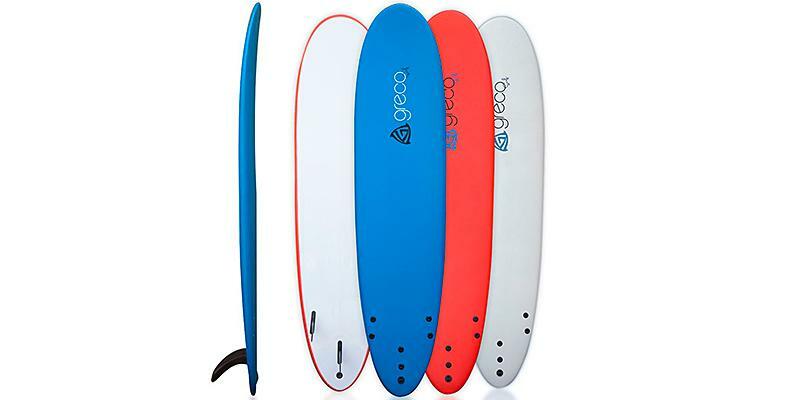 To understand Greco Surf board’s advantages better, let’s consider its characteristics in more detailed way. Durability and safety of this board are determined by a combination of various quality materials used for its production. 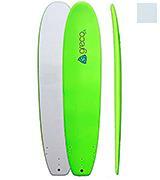 The tail is designed in a square shape to provide stability and maneuverability of the board. Even more, its stability has also been improved by a curved, wide nose. As for the maximum load, this surfboard can withstand up to 250 pounds. The biggest wave which has ever been conquered was 1739 feet high! It happened in 1958 in Lituya Bay, Alaska. Great tsunami provoked such enormously high wave which is still supposed to be the highest ever. And people who managed to ride the wave were Bill and Vivian Swanson. However, they didn’t surf at that moment. According to their memories, they were in their boat when felt a sudden strong shake. As it turned out, it was an earthquake which made a lot of ice fall into the bay. This very occurrence provoked tsunami and, as a consequence, the wave that Swanson managed to ride on their boat. In order to feel comfortable and protected from falling down, you may need using of surfboard wax to improve adhesion between the board and your feet. 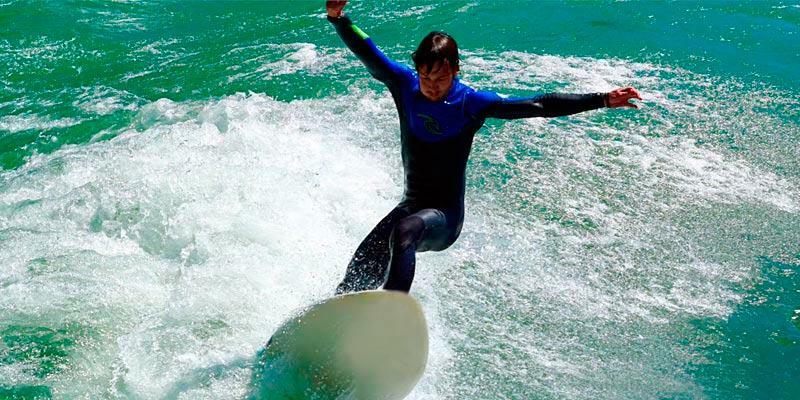 If you had started surfing 20 or even 10 years ago, you would have definitely experienced difficulties connected with trial and error method leading to constant falls and injuries. However, nowadays things are much different. Thanks to modern technologies, a combination of various materials and know-how methods, even your first ride will be associated with safety and simplicity. 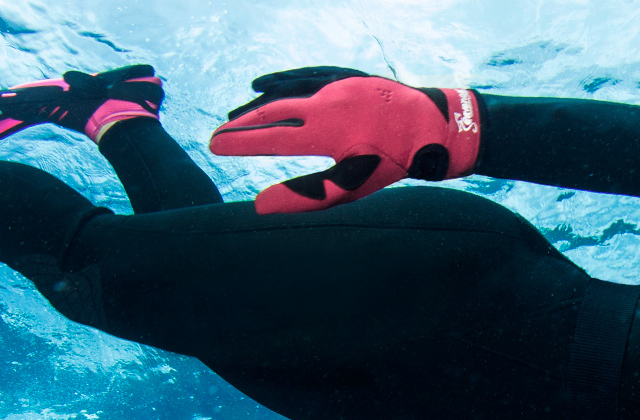 North Gear company is ready to represent you its invention for successful surfing. 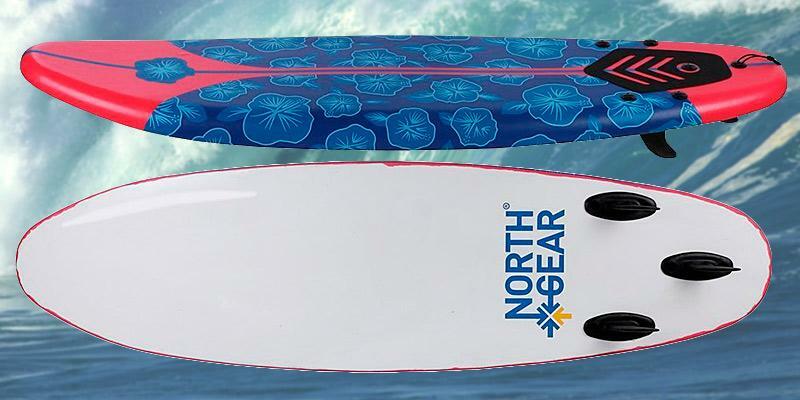 North Gear 6ft Foam Surfboard is aimed at users of different ages. 6-feet length together with 10-pound weight determines its usability; you won’t feel any inconveniences carrying and riding the board. In comparison with already described models, this surfboard has a round tail, although, it doesn’t worsen board maneuverability. 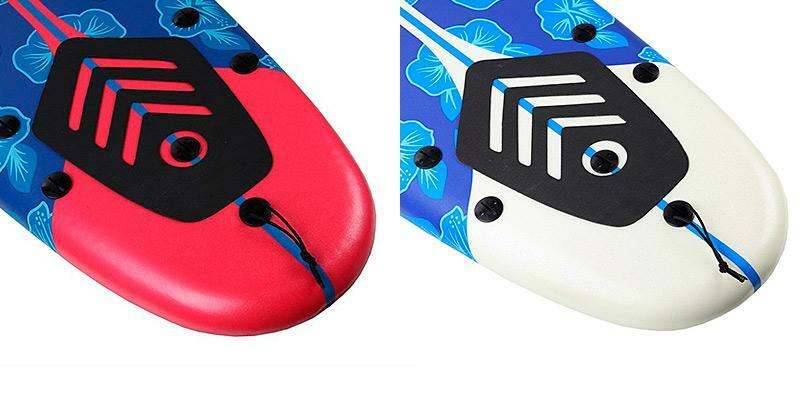 Like other surfboards, this one boasts a round nose that provides super stability. As all surfers want to spend their time riding waves effectively, they often look for extra features. And North Gear company has something to offer. In order to prevent surfers from falling down, the manufacturer has designed a special rag on the tail of North Gear 6ft Foam Surfboard. It helps improve the adhesion so that you could stand on the board for a long time. However, if you do fall down, you can be sure that your surfboard isn't going to be lost in the waves. Using a special leash you'll not only find it but actually be able to safely attach the board to your swimming suit if necessary. The longest ride on the wave lasted 3 hours and 55 minutes. Can you imagine this? In 2011, 13-time Panama surfing champion Gary Saavedra decided to set a world record. 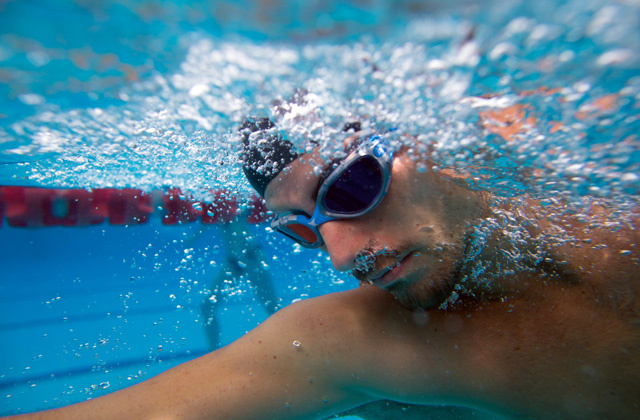 He rode the wave of 66.5 km long, which took him almost 4 hours. Having done this, he has not only broke the previous record but improved it by 4 times! 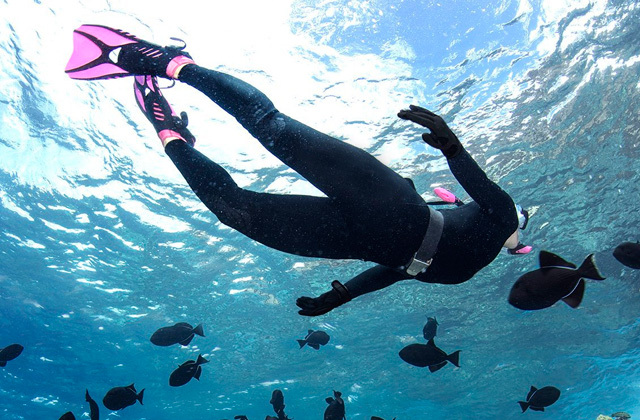 To surf with pleasure, take care of comfortable body temperature and consider buying Seavenger wetsuit to prevent yourself from temperature drops in theunpredictable ocean. 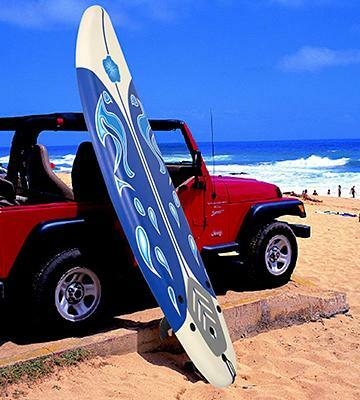 Giantex Surfboard is a perfect solution for those who want to ride the waves. 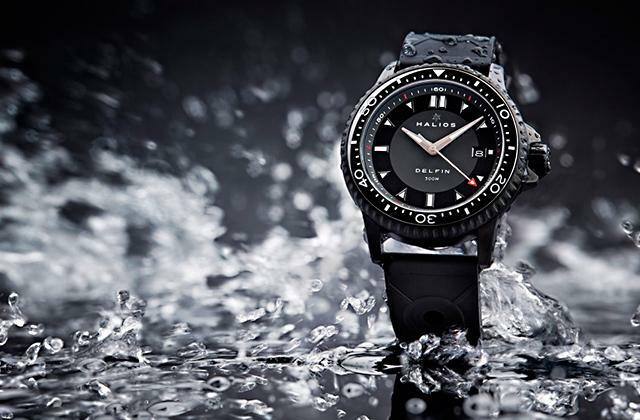 Even if you haven't tried such extreme sport as surfing before, be sure that this piece of gear will suit you. The board is aimed at beginners who don't know yet how to surf it the right way. Moreover, if you want to have a rest with your family, you'll definitely like this board since both adults and children can use it safely. According to the classification of surfboards, it is a Longboard. However, thanks to its soft cover, it can be also defined as Soft Top Longboard. Taking care of board's maneuverability, the manufacturer has designed it with round curved nose. 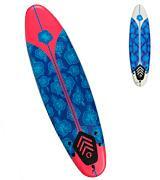 This peculiarity makes Giantex Surfboard not only maneuverable but steady as well. This very design determines the board's weight capacity of 200 pounds. As it was mentioned above, this model of a surfboard was created to provide beginners with ease and safety of wave riding. The top surface of the board is equipped with a special rug to help you stand steadily even if your feet are wet. The bottom part of the board possesses two important characteristics such as hardness and glide. Hardness protects the board in case it smashes against water or waves. 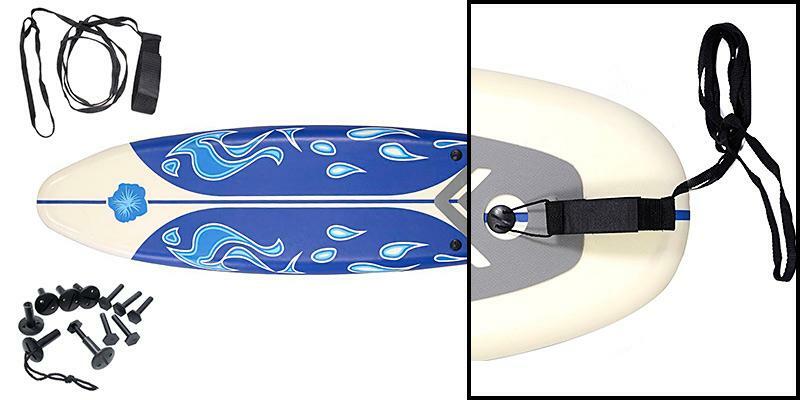 The glide gives you the feeling of flight due to the minimum friction force between the board and water. 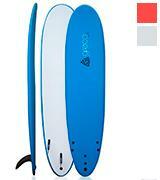 Moreover, on buying Giantex Surfboard, you get not only the board but all necessary accessories as well. 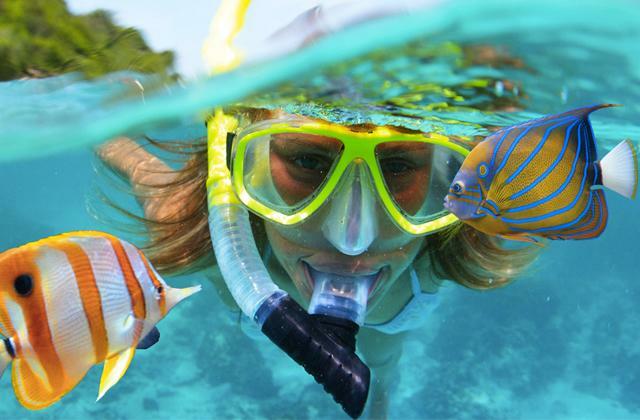 Among them, you'll find a special leash and fins. The leash is designed to help you get on the board if you have fallen down. 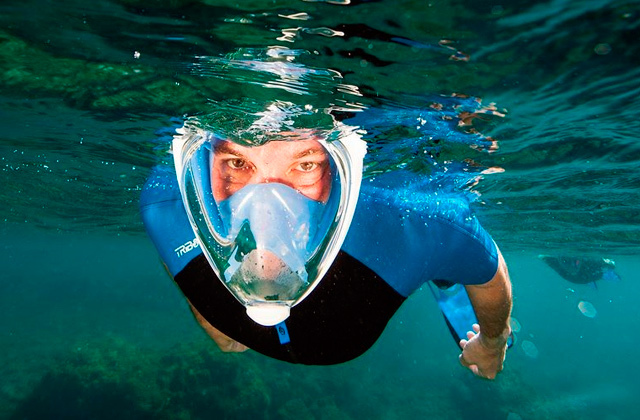 The removable fins are wide enough to create sufficient steadiness. One more advantage is that you can change them when you have gained enough experience and want to try yourself as a professional surfer. Apart from this, removable fins add to convenience of board transportation. Don't hesitate anymore! Get it! If surfing is a new experience for you, and you are afraid of falling down or being covered with a wave, life vest will help you feel safer and more comfortable on water. 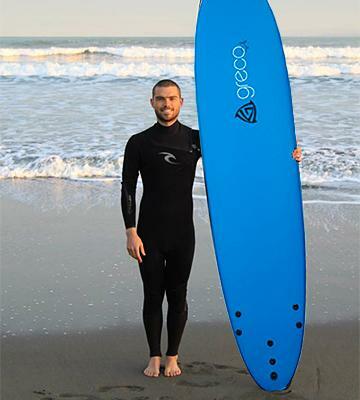 Being an expert in surfboard design, Greco Surf company knows what modern surfers need, and Greco Surf 8ft Performance Soft Longboard is a convincing evidence of this. The surfboard is aimed at both beginners and professionals, and this very peculiarity makes it a unique model. You can buy it when you know nothing about surfing and continue using it after you become a professional wave conqueror. Being made of different materials, the board possesses a lot of useful characteristics - beginners will appreciate its soft surface and stability while professionals will definitely like the board’s great maneuverability. Creating its surfboards, Greco Surf company takes care of every detail in order to make its products as quality as possible. Thus, besides the board, you’ll get a set of additional useful components. The given model is sold together with maneuverable removable fins and a special leash. This very package is a guarantee of a long use of this super board. 1. There is a phobia connected with the fear of waves. 2. If you want to get a Bachelor’s degree in surfing, there are 4 universities where you can do it. 3. Kelly Slater, a famous professional surfer, starts his morning with a glass of hot water with lemon. 4. An average surfer spends approximately 8% of his/her time riding the waves. The rest of the time a surfer waits for the right moment. 5. Agatha Christie, an English crime novelist, was fond of surfing. In her autobiography, you can find the description of her surfing experience of 1924 in Hawaii. 6. In the list of the most dangerous sports, surfing is on the 20th place. 7. The word “surf” is associated with a detergent in Urdu. After the launch of a detergent which became very popular in Pakistan, this word is interpreted in both connotations. 8. According to the Guinness Word Records, the greatest number of people who managed to mount one surfboard was 47. 9. Polyurethane foam, a material the boards are made of, was first applied during the World War II to provide heat insulating of planes. 10. Hodads are people who pretend to be surfers but they only hang around the beach and don’t surf. 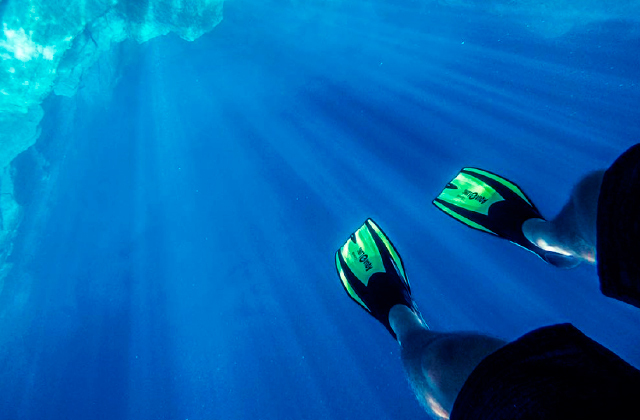 Ocean waves might be tricky, so if you want to secure yourself against falling down, Sticky Bumps may come in handy. If you want to feel new emotions and lots of adrenaline but do not know what to do, the best option is to start surfing! But what board to choose and how to do it right? Since the market is full of all kinds of surfboards, this choice may be a bit hard. But thanks to this review, you can find exactly what you need. «Circle» boasts high maneuverability but саn be unstable. Another important factor is the material of the surfboard. Modern boards can be made of three types of material: plastic, fiberglass, and epoxy. 2. Jesse Merle-Jones, Pick the Right Board, SurferMag. July 23, 2014. 3. Surfboard Beginner's Guide, ISLE. 4. Surfboard Size Chart, SurferToday. 5. How to Pick the Right Surfboard Size, Howcast. 6. Tania Nesbitt, Choosing the Right Surfboard, Active. 7. Gerlinda Grimes, How to Choose a Surfboard, HowStuffWorks. 8. Jay DiMartino, 4 Beginner's Guidelines for Picking Your First Surfboard, About Sports. June 26, 2015. 9. How to Choose a Surfboard Leash, evo. 10. Mackenzie Wagoner, How to Choose Your First Surfboard: The Ultimate Beginner’s Guide, VOGUE. August 9, 2016.